The Opsson S7 full Specification, Features and Price, while the full Specification, Features and Price of the Tecno R7. The Opsson S7 has a dimension of 139*68*8.3mm, while the Tecno R7 has a dimension of 158*78.5*8.4mm. Opsson S7 has an internal memory of 4GB while the Tecno R7 has 16GB. S7 has a 1GB RAM, while the Tecno R7 has a 2GB RAM size. S7 has a 8.0MP back camera, while the Tecno R7 has also a 13.0MP BSI. S7 has a 2.0 MP front camera, while the Tecno R7 has a 5.0MP front camera. S7 has a 4.7”Capacitive HD Touchscreen while the Tecno R7 has a 5.5” screen. 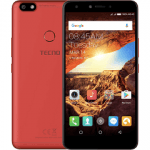 , The Tecno R7 has a 6 core processor. The Tecno R7 has 2GB RAM. (Screen Size), The Opsson S7 has a 4.7” screen size. The Tecno R7 has 16GB while the Opsson S7 has 4GB. an edge over the Opsson S7 in this area. R7 possess an edge over the Opsson S7 in this area.